Zoe Clark, journalist, freelance stylist, blogger, and mother, is with us today sharing her tips on how to allergen-proof your home. Keep up with Zoe Clark by following her on twitter @ZoeFClark. Life with kids onboard isn’t easy, but it gets a thousand times tougher with allergens in the air. As a loving mom of a two-year-old girl and a proud owner of a playful canine, I’ve had my share of agonies over my kid’s sneeze attacks, watery eyes, and breathing problems. At one point, I even feared that Meggy may be allergic to literally everything, from dog hair to pollen, but tests showed she’s sensitive only to dust mites and mold. Since then, I’ve gone to extensive efforts to clear the air in our nest, and sneezes and cough are history in our house now. 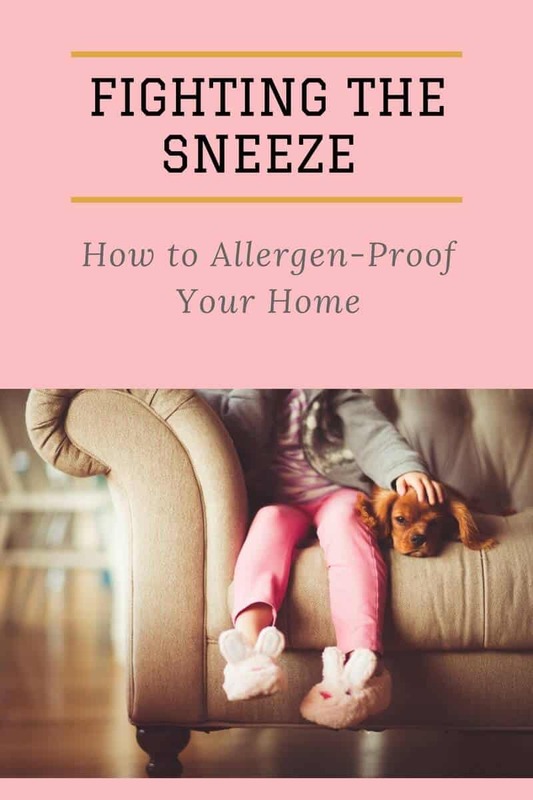 If you’re a parent with a sneeze-happy child at home, there are a few simple things you can do to allergen-proof your quarters and minimize suffering for both your little one and yourself. Allergens adore wall-to-wall carpets, so if you want to banish dust, pollen, and pet dander from your nest, you may have to take the rug outside. Walking across thick carpets releases allergens into the air, which is why exposed floorboards are a better option if your little one often suffers from irritant-induced respiratory problems. The same is true of heavy drapes: irritants thrive in rich textiles, so you may want to swap long curtains for blackout blinds or bamboo shades, just to stay on the allergen-free side of the window. Mold is another irritant that can cause mild-to-severe allergy attacks in kids. Bathrooms are the prime hotbed of mold in an average home, so if you kid’s down with respiratory problems every now and then, you should check the shower room for signs of fungal infestations and nip them in the bud right away. Mold loves humidity, so if you want to keep it out of your bathroom, it may be a smart idea to update restroom ventilation and have the walls treated with a solution based on vinegar, baking soda, or hydrogen peroxide. HVAC filters are another home-bound source of allergens, so if you have been neglectful of your air-conditioning system over the past few months, you should have the unit serviced sans delay for the sake of your child’s wellbeing. As a general rule, HVAC filters should be checked once a month and cleaned or replaced every 60 days. In case you own a pet, though, you should have your HVAC unit serviced every 30 days as dirt and pet dander buildup may clog the filter and compromise air quality indoors. Tidiness is the safest guarantee of an allergy-free home, but if your nest is still a hotbed for dust and other airborne allergens even with your best housekeeping efforts, it may be time to update your vacuum cleaner. In case your vacuum cleaner doesn’t have a HEPA filter, get one that does: HEPA filters can trap the tiniest of irritating particles that cause allergic reactions in kids. Also, don’t forget to give your home a floor-to-ceiling cleanup at least once every three months, as accumulated clutter is a shortcut to allergen buildup. State-of-the-art air purifiers are a parent’s reliable ally in the battle against air pollutants, so arm your kid’s room with an air cleanser to keep sneezes and wheezes at bay. Although air purifiers have their limitations, modern air filters are designed to remove up to 99.99% of tiny particles in the air that can result in chronic breathing problems, asthma, and allergies, which makes them a smart investment in your family’s well-being, especially if your household has a canine member like mine does. If your child’s bed has seen better days, no wonder the little munchkin’s tossing and turning in it and moaning over a runny nose and respiratory glitches. Ditch the old mattress and pillows, and invest in hypoallergenic bedding: the update may set you back a bit, but it will definitely clear the air of irritants and restore peace to your child’s dreams. For a neat bonus, the new mattress and pillows will bring bonus comfort points to your child’s sleeping sessions and improve their sleeping posture at the same time. Allergies to airborne irritants are a reality for around 20% of U.S. citizens, but in case they take strong roots in childhood, respiratory hitches can easily evolve into asthma. 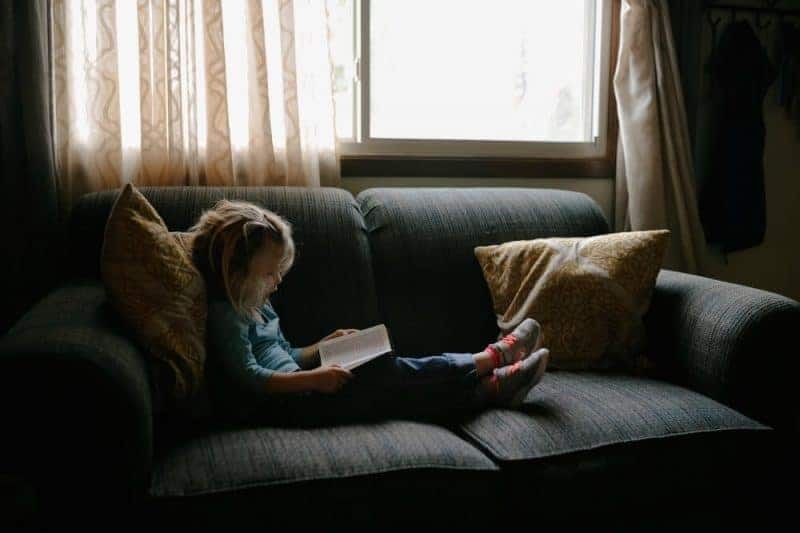 Kids whose one or both parents suffer from susceptibility to air pollutants are at an even greater risk of developing an allergy, so if you want to keep your kid safe from breathing problems, make sure your home’s armed for the airborne challenge. Bless you! These are great tips. I have horrible allergies and for some reason they are really bad this month. Usually it is snowy and I have a few months off, but this year has been warm and I am miserable. I will double check these tips. Wall-to-wall carpeting is miserable for allergies! No matter how clean you keep it, it’s still a magnet for all the stuff that irritates your allergies. Checking your HVAC system is also a great idea. If it’s not clean, it could just be re-circulating all the allergens your trying to get rid of. I love these tips. Unfortunately, the carpeting has to stay as I rent. Everything else can be done though. Vacuum cleaners have come a long way as far as features. Hepa filters are a great way to keep all those allergens under control. This is hard to do when you have pets. This is always very important, no matter what season it happens to be. I thank you for the no-nonsense information on a very important matter. Our house is really old and dust can get everywhere. We purchased air filters for each of the bedrooms and that seemed to help. THANKS FOR THESE AMAZING TIPS!!! I used to have carpeting and now that I am down to wood floors I am so much better off. It amazes me how much better it is. We’re redecorating my daughters room. We bought a wall paint that helps with allergens. These are all great tips. I am going to try some of these. Even one of my cats has allergies. I have terrible allergies that have gotten worse since we moved. It might be time to use some of these tips.